The most frequently asked question I get at my meat market is, “What steak do you recommend today?” There are always a lot of things to consider, such as how many people are you serving, is this a special dinner, do you prefer bone-in or boneless, do you want something with a little fat or lean, and are you going to use the steak in a recipe? My favorite steak is a bone-in ribeye, but porterhouse is a close second. 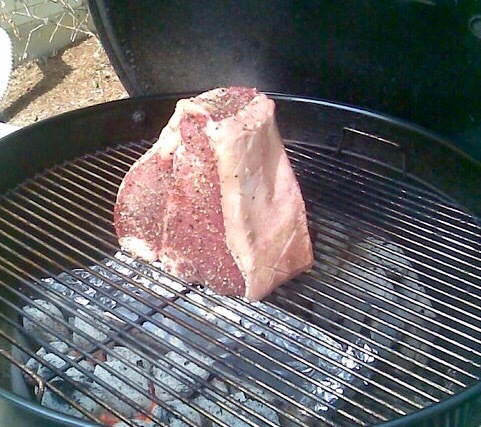 I love a thick steak with a bone and some fat. 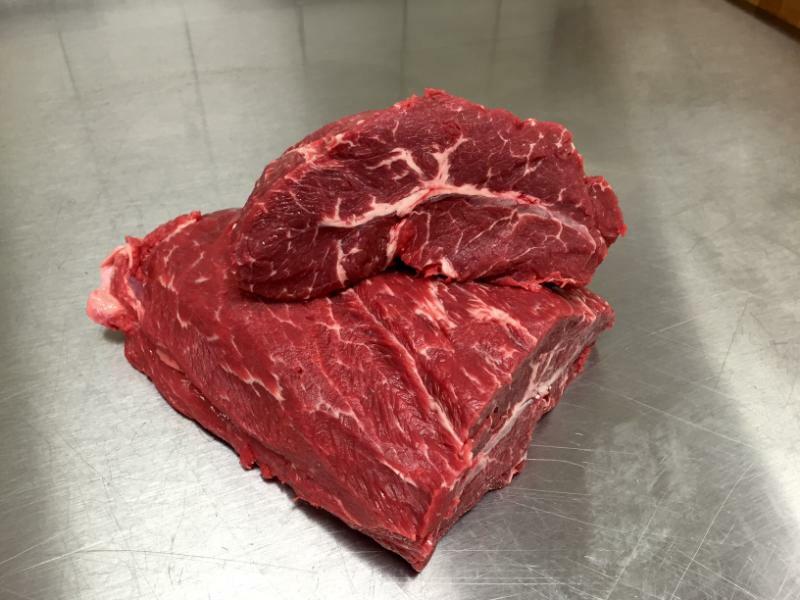 With a bone-in ribeye you get a rib bone, the eye of the rib, and the rib cap (spinalis dorsi), which is very tender and has a rich buttery flavor. The porterhouse has the best of two worlds…a N.Y. strip on one side and a filet on the other. 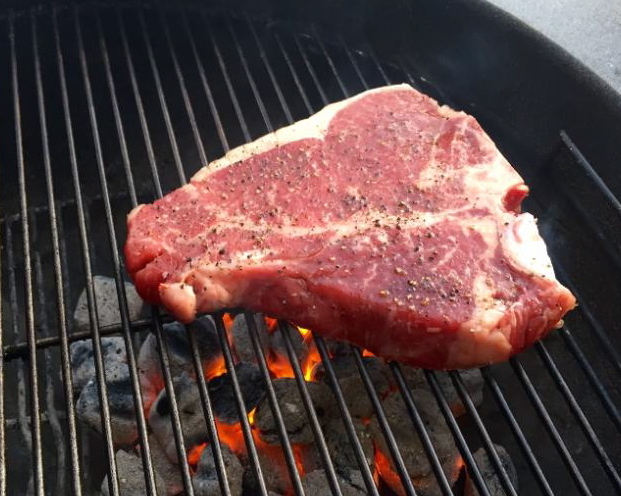 Sometimes I grill a 4 to 5 pound porterhouse when friends are coming over, it’s a great steak to share and always a big hit! Many of my customers look for a lean yet tender cut of steak. I always suggest a flat iron steak. It is reasonably priced, lean, has no waste, and is very tender. 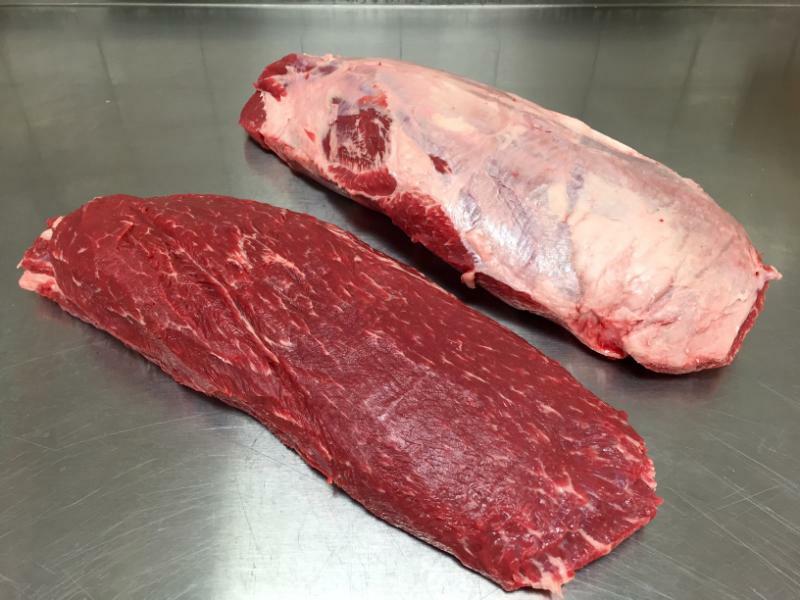 The flat iron steak is relatively unknown to some, but is the second most tender beef muscle. The flat iron, also known as the top blade steak comes from the chuck (shoulder), usually known for tougher cuts that require proper cooking technique in order to make them tender. This muscle weighs about 5-6 pounds untrimmed. There is a silver skin on one side and a heavy connective tissue running down the middle that must be removed. 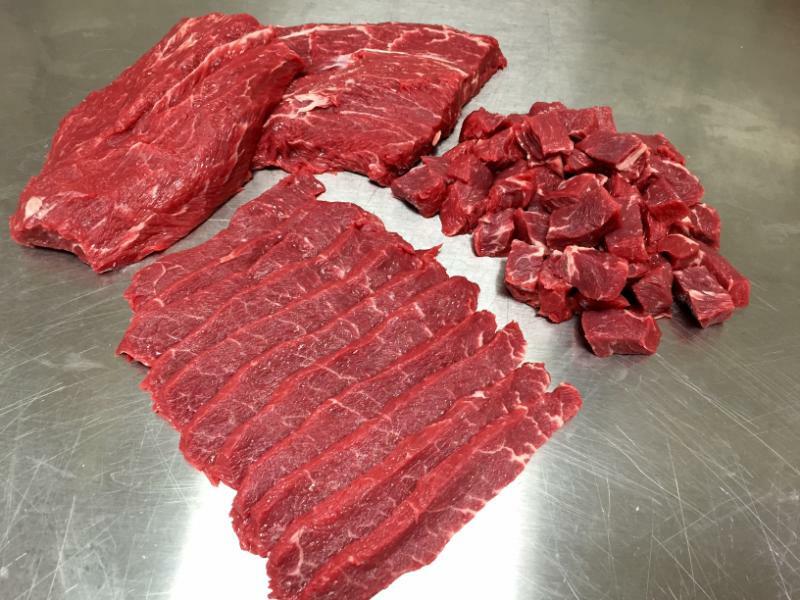 After being fully trimmed, it yields four steaks that run about 8-12 ounces each…a lot of waste. This cut of steak is very versatile. You can grill it like any other steak and it is also ideal for recipes that call for thinly sliced beef, like for a stir-fry or stroganoff. Not all grocery stores carry the flat iron steak. I suggest source out your local butcher shop and they will always take care of you! You’ll be glad you tried it!